The tag most commonly attached to Shakura S'Aida is "powerhouse," an apt description of the Toronto blues singer's formidable pipes. It also applies to her ability as a performer, as was vividly confirmed by her opening set. S'Aida doesn't just command the stage; she takes it and the audience hostage. She had the usually staid T.O. crowd snapping their fingers as she made her entrance, and later had them on their feet doing a slow blues dance. Backed by a fine five-piece band that included award-winning keyboardist Lance Anderson, she impressed equally on soulful ballads (one was a Billie Holiday cover) and vigorous rockin' soul, channelling Tina Turner on a gender-modified version of Long John Baldry hit "Don't Try to Lay No Boogie-Woogie on the King of Rock and Roll." A slow and sparse new original song built around her voice and a thunderous drumbeat had a neo-gospel feel, and it featured a shout-out to late great drummer Archie Alleyne. It'd be nice to hear S'Aida veer away from the tried and true in similar fashion in the future, but she sure made some new fans here. 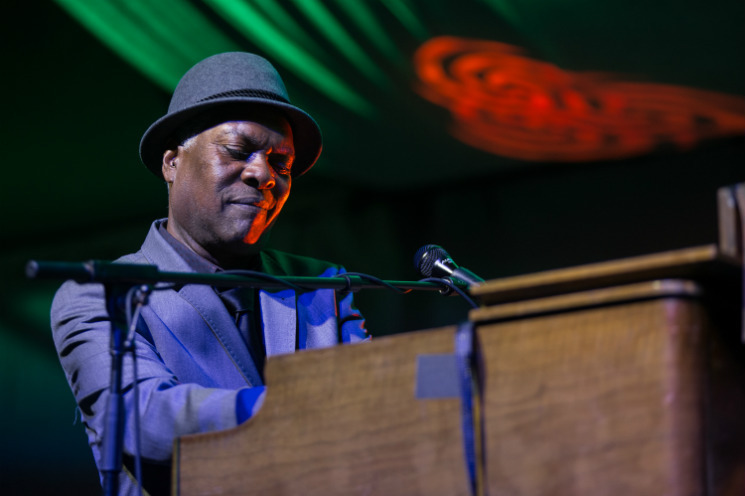 The capacity crowd greeted Booker T. Jones with a standing ovation, a fitting recognition of the 70-year-old's major contributions to soul music. He's a deserving recipient of a Grammy Lifetime Achievement Award, and he showed why in the first three songs he played. Spaghetti western theme "Hang 'Em High" featured those gorgeously rich Hammond B3 sounds that are his signature, while blues classic "Born Under A Bad Sign" (a tune written by Jones and William Bell for Albert King) was placed in a funky groove by his band. Next up was "Green Onions," Booker T. & The M.G.s' most famous tune and arguably one of the best instrumentals ever. Fine song selections all, but the blues-rock guitar noodling on both "Hang 'Em High" and "Green Onions" was an ominous sign. Later in the set Jones praised his son Ted Jones (one of two guitarists in the band) for sounding like (the unimaginative axeman) Joe Bonamassa. Booker T. played guitar and sang for a large chunk of the show, one that at times threatened to become tribute night in the festival tent. Versions of Hendrix classic "Hey Joe," Muddy Waters' "Mannish Boy," Prince's "Purple Rain" and Dylan's "Knockin' On Heaven's Door" were serviceable, but would certainly not make you forget the originals. Jones often prefaced the songs with some interesting anecdotes, such as the fact that he played bass on the recording version of the Dylan tune. Those wanting to hear material from his recent solo albums, Potato Hole, The Road From Memphis and Sound the Alarm, would have left disappointed. Very little material was culled from these, though Lauryn Hill's "Everything Is Everything," from The Road From Memphis, and "Father Son Blues," from Sound the Alarm, were two of the strongest songs in the set. 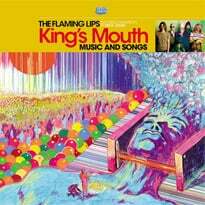 Such Booker T. & The M.G.s classics as "Hip Hug-Her," "Melting Pot" and "Soul Limbo" were reprised to a warm response, though extended bass and drum solos deflected from the precision of the well-crafted original versions. To no one's surprise, Jones closed things out with another M.G.s fave, "Time Is Tight." His lengthy set was pleasant enough, but ultimately underwhelming.